Society of Certified Senior Advisors: E-cigarettes: A Safe Alternative to Smoking? E-cigarettes: A Safe Alternative to Smoking? When e-cigarettes first became available in 2006 they were heralded as a smokeless and therefore safer way to inhale nicotine, as well as a method to quit smoking. But, almost a decade later, although they have become more popular, no studies have conclusively proven their safety and their effectiveness for smoking cessation. When e-cigarettes first became available in 2006, they were heralded as a smokeless and therefore safer way to inhale nicotine, as well as a means to quit smoking. But, almost a decade later, although they have become more popular, no studies have conclusively proven their safety and their effectiveness for smoking cessation. In fact, several smaller studies have shown harmful effects, and many jurisdictions are starting to take action to have e-cigarettes—also known as vapor cigarettes—regulated in the same way as traditional cigarettes. Canada prohibits the sale, advertising or import of e-cigarettes containing nicotine. In the United States, Wisconsin and New York are considering treating e-cigarettes the same as traditional cigarettes; and in San Francisco, a bill to regulate them would bar their use at work, schools, on public transportation and in restaurants and bars—just like cigarettes. An estimated 438,000 Americans die each year from diseases caused by smoking. Smoking is responsible for more than one in five U.S. deaths. Smoking is directly responsible for more than 90 percent of chronic obstructive pulmonary disease (COPD) deaths and approximately 80 to 90 percent of lung cancer deaths in women and men, respectively. COPD prevalence rates are highest among those 65 years of age and older, and the disease consistently ranks among the top ten most common chronic health conditions and sources of daily activity limitation. Men 65 or older who smoke are twice as likely to die from a stroke, and women smokers are about one and a half times as likely to die from a stroke than their nonsmoking counterparts. Cigarette smokers have a far greater chance of developing dementia of any kind including Alzheimer's disease compared to nonsmokers. Smoking reduces one's normal life expectancy by an average of 13 to 15 years, thereby eliminating retirement years for most smokers. Teenagers comprise the bulk of e-cigarette users, although the general population is increasingly “vaping” as well. Nearly 1.8 million children and teens in the United States had tried e-cigarettes by 2012 (from HealthDay News). Last year, the number of American adults using e-cigarettes topped 40 million, an increase of 620 percent from 2010. While no figures exist for how many older adults use e-cigarettes, anecdotal evidence indicates many seniors have taken up the habit. If so, switching from traditional cigarettes to e-cigarettes makes sense for seniors. Older smokers are at greater risk because they have smoked a longer amount of time (an average of 40 years). They also tend to be heavier smokers and are more likely to suffer from smoking-related illnesses than the general population, according to the American Lung Association (ALA). They are also significantly less likely than younger smokers to believe that smoking harms their health. After all, the older generation was weaned on the image of smoking as glamorous and cool: Just think of James Dean, Bette Davis, Humphrey Bogart and Lauren Bacall, to name a few movie stars, with cigarettes dangling from their mouths or coolly held between fingers. In fact, the ALA says that today's seniors had smoking rates among the highest of any U.S. generation. In the mid-1960s, about 54 percent of adult males were current smokers, and another 21 percent were former smokers; in 2008, about 23 percent of adult males were smokers and another 24 percent were former smokers. In 2008, 9 percent of Americans over 65 years of age smoked. Nearly 70 percent of smokers report they want to quit, and a little more than 42 percent say they've tried to quit during the past year, which may be one reason that some smokers are using e-cigarettes to ease off their habits. Another possible reason for their use among older adults is that some senior-living facilities permit e-cigarettes but not traditional smoking, although this is an evolving area, and no hard figures exist about how many facilities are making this distinction. While Brookdale Senior Living, the largest senior-living provider in the country, does not allow either type of smoking in common areas, some facilities may allow e-smoking in a resident’s own apartment. Electronic cigarettes are battery-operated devices that resemble traditional cigarettes. However, instead of burning tobacco, they generally contain cartridges filled with nicotine and other chemicals. An atomizer heats a liquid containing nicotine, turning it into a vapor that can be inhaled, or “vaped,” and creating a vapor cloud that resembles cigarette smoke. They can come in a variety of “flavors,” such as menthol, fruit, coffee and chocolate. Some e-cigarettes have a cigarette-like LED tip that glows red (or another color, depending on the product you're using). Unlike traditional cigarettes, the federal government does not regulate e-cigarettes. In April 2014, the Food and Drug Administration (FDA) proposed rules that would regulate them in the same way as it does traditional cigarettes. Once the proposed rule becomes final, FDA will have the authority to ban the sale of e-cigarettes to minors, if it deems them to be unhealthy, and would be able to initiate comprehensive scientific review of them. whether there are any benefits associated with using these products. When the FDA conducted limited laboratory studies of certain samples, it found that quality-control processes used to manufacture these products are substandard or nonexistent. For example, cartridges labeled as containing no nicotine in fact contained nicotine, and three different electronic cigarette cartridges with the same label emitted a markedly different amount of nicotine with each puff. The e-cigarette industry has criticized these studies as limited to only two makers of e-cigarettes. 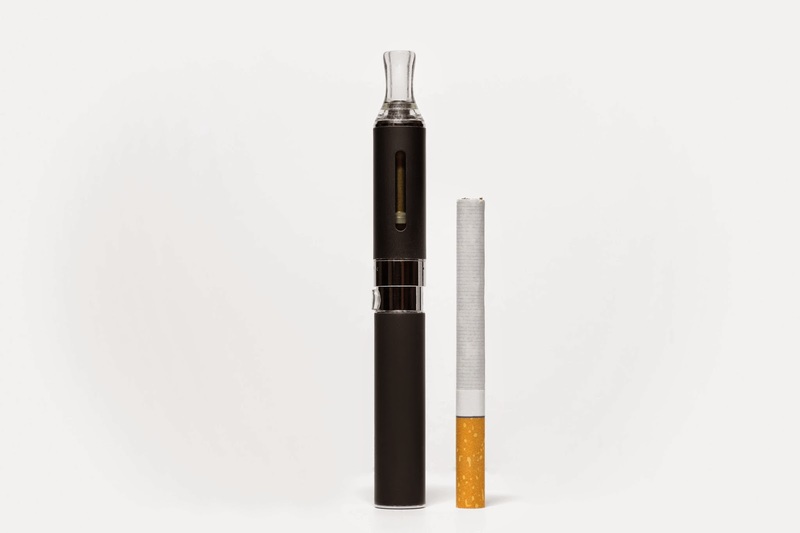 Although the FDA does not have the authority to monitor e-cigarette use, it receives voluntary reports of adverse events from consumers and health professionals, which have included hospitalization for illnesses such as pneumonia, congestive heart failure, disorientation, seizure, hypotension and other health problems. In the absence of large-scale studies about the consequences of smoking e-cigarettes, several smaller ones have found harmful effects. One recent study found that vapor from electronic cigarettes may increase young people's risk of respiratory infections, whether or not the cigarettes contain nicotine (reported in HealthDay News). The vapor triggered a strong immune response in the cells that line the inside of the lung and protect the organ from harm, said lead author Dr. Qun Wu, a lung-disease researcher at National Jewish Health in Denver. Once exposed to e-cigarette vapor, these cells also became more susceptible to infection by rhinovirus, the virus responsible for the common cold, researchers found. Another study (reported in HealthDay News) said that e-cigarettes operated at high voltages produce vapor with large amounts of formaldehyde-containing chemical compounds, according to research co-author James Pankow, a professor of chemistry and civil and environmental engineering at Portland State University in Oregon. Although the cancer-causing chemical was not found at lower voltages, newer versions of e-cigarettes can operate at very high temperatures, and that heat dramatically increases formaldehyde-containing compounds, the study found. Other studies, including those trying to determine if e-cigarettes help smokers to quit, show positive results for e-cigarettes. A Cochrane Review showed that e-cigarettes double the likelihood of quitting smoking compared with a placebo, and that they increase the likelihood of reducing smoking levels by more than 30 percent (as reported in Medscape ). However, the investigators caution that few studies exist on the effectiveness of e-cigarettes, and that the quality of the available evidence is low. The issue, health experts agree, is that e-cigarettes need to be studied further. Because the potential health hazards of e-cigarettes remain unclear, both the American Association for Cancer Research and the American Society of Clinical Oncology have called for regulating e-cigarettes like traditional cigarettes. E-cigarettes: A Safe Alternative to Smoking? was featured in the March 2015 Senior Spirit Newsletter.